PITCH ME is a live judging competition taking place during the Blade Inspection, Damage & Repair forum. Three small start-up technology providers will go head-to-head to pitch their ground-breaking new product in front of our live audience and judging panel. One winner will receive €11,000 worth of promotion for their product. The contest aims to provide a vehicle for startups and small technology providers to get much needed exposure to key industry investors and buyers. 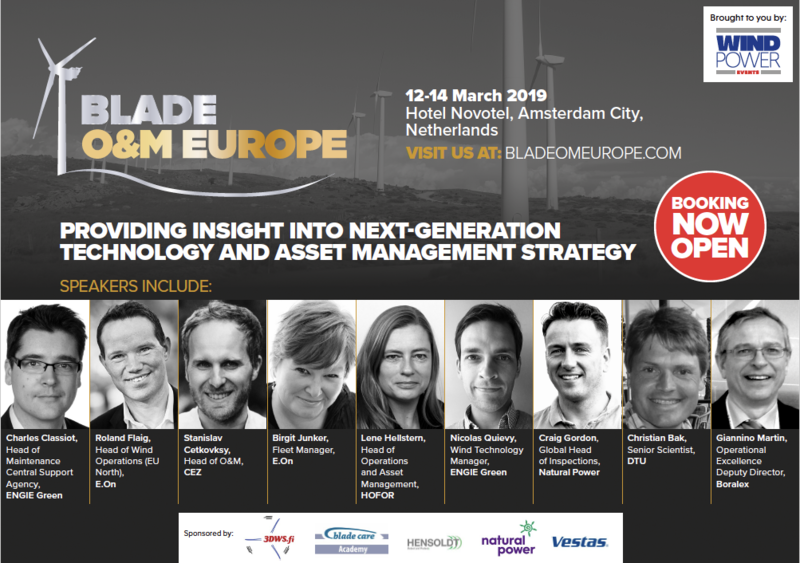 Delegates at the Blade Inspection, Damage & Repair Forum are invited to become the live audience during this session. Three start-ups will have five minutes to deliver a pitch for their new product on stage in front of you, our live audience, and panel of expert judges. The pitch will be followed by a Q&A session. The winner will be announced on the day. Fibersail has developed a fibre optic based shape sensing system to measure the behavior of wind turbine blades during operations with an efficient way of integrating and retrofitting. Its purpose is to enable the industry to use much longer and lighter blades towards low wind sites increasing efficiency. Perceptual Robotics is developing Dhalion, an autonomous aerial platform for wind turbine inspection. Dhalion aims to bring full end-to-end inspection capabilities to the market, from data acquisition to high confidence defect identification. Sulzer & Schmid Laboratories has developed an aerial robotic alternative to conventional rope inspection. Its suite of powerful components automate the entire blade inspection workflow including planning, data acquisition, analysis and report generation.